Comedy Central viewers may want to sit down for this news: When it returns with new episodes circa September 2016, South Park will no longer be followed by Moonbeam City, the hyper-stylized, hyper-violent, ’80s-themed cop show parody created and executive produced by Scott Gairdner. Comedy Central has given the animated series the boot after just one season and 10 deliberately tacky and over-the-top episodes. The network unveiled its list of renewals yesterday, and Moonbeam City was conspicuously absent. Barring some kind of miraculous revival in some other venue, the show’s wild, coked-up ride appears to have been short-lived. The culprit? Those darned ratings. Turns out, there just weren’t enough viewers who wanted to see what Archer might look like as filtered through the Reagan-era aesthetic of Patrick Nagel. At least not enough to sustain a weekly series. Though it garnered what Deadline is calling “a cult following,” Moonbeam City was only able to hold onto about 20 percent of South Park’s lead-in, not enough to save its own porcelain-colored, scarf-draped neck. The cast and crew of the series should not despair, however, as the post-South Park time slot has been something of a basic cable Bermuda Triangle, devouring show after quirky show. 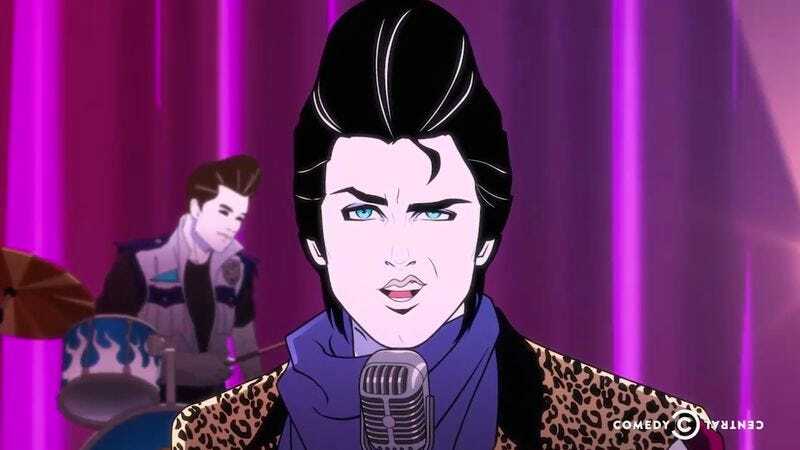 If it eases the pain, most of Moonbeam City‘s primary voice actors, including Rob Lowe, Will Forte, Elizabeth Banks, and Kate Mara, have plenty of other gigs to keep them busy. Moonbeam City may have been derivative, but it was derivative in an odd, distinctive way, and the existing episodes from the series’ lone season may yet have a life of their own awaiting them on the internet or late-night television.